From The Roof Down In Residential Renovations: Looking for a Roof with a Conscious? Yes! 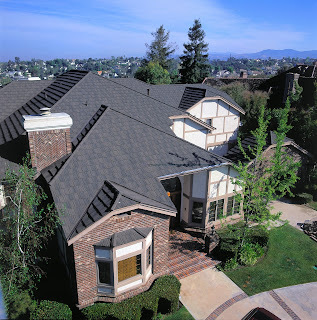 Every Metal Roof IS An Environmentally Conscious Choice! Metal roofs are one of the most environmentally friendly roof systems today. Our roof panels consist of 25-35% recycled material and are virtually 100% recyclable when removed after their long and useful life. Also, because our metal roofing panels are light (less than 1 pound per square foot) they can often be placed directly over existing roofing; saving time and labor while reducing landfill space for waste material. Call Residential Renovations today for an appointment at 419-691-330 or read more by visiting our website at www.ResidentialRenovations.com! The install crews arrived at my home a little later in the morning than I had expected, however, they went straight to work, worked through lunch and continued to just before dusk. The crew was professional and was careful to avoid damaging my plants around my home and took care to place tarps to catch most of the shingles, nails and scraps from the project. It is a nice design of roof, It is good to have roof with conscious which is safe and for long time and environmentally conscious. Find the best Home Improvement Contractors Toronto for renovation of your home.